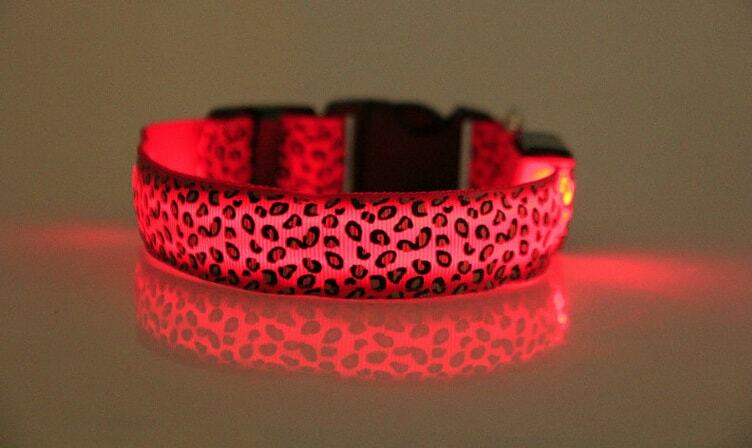 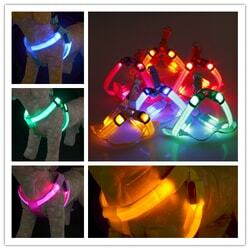 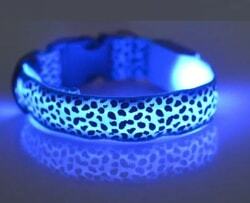 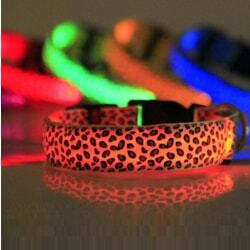 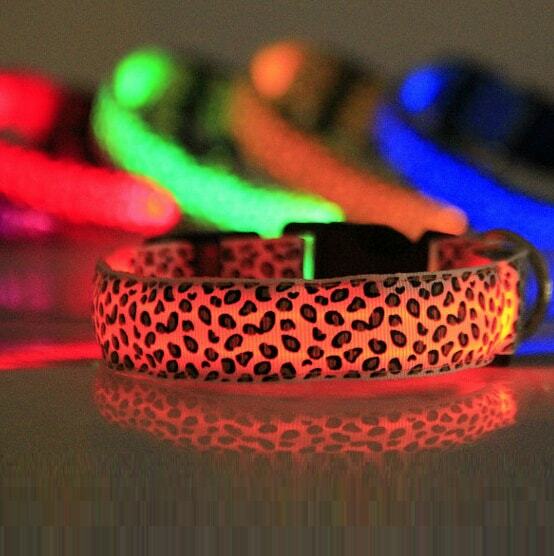 Illuminating collar for small dogs in sizes S - 22-40 cm M - 32-50 cm, L - 42-60 cm. 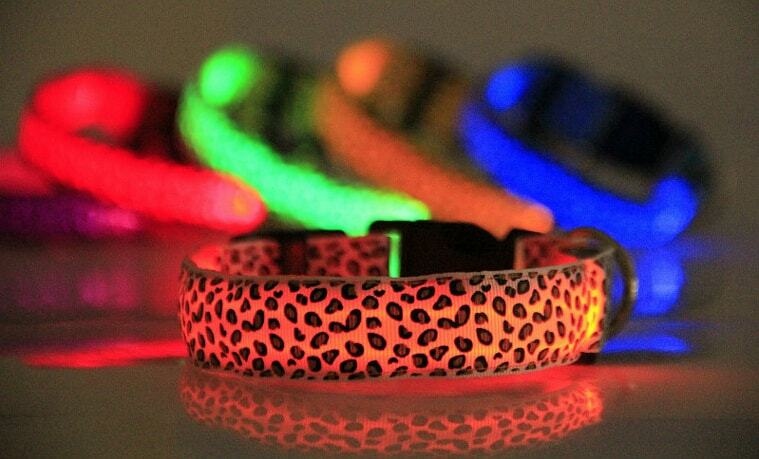 3 kinds of light (permanent light, blinking, fast blinking). 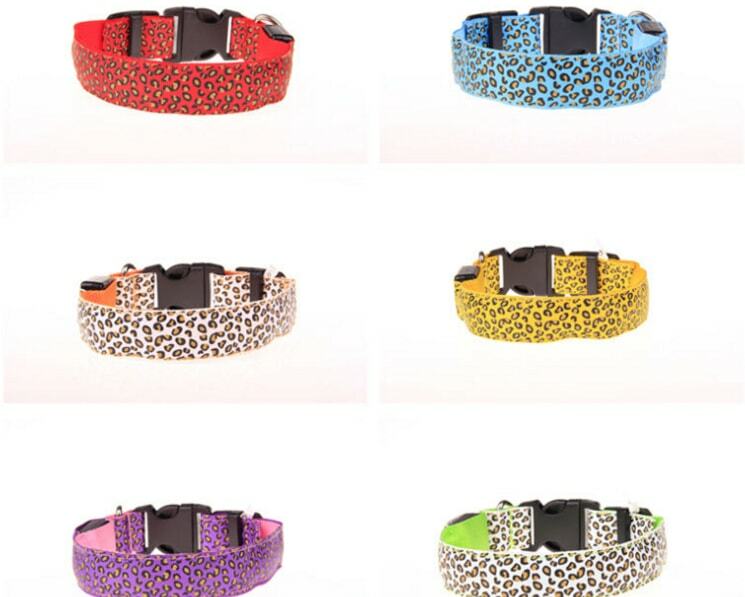 Colors: yellow, orange, red, pink, blue, green and white. Light pendant has three kinds of light (permanent light, blinking, fast blinking). 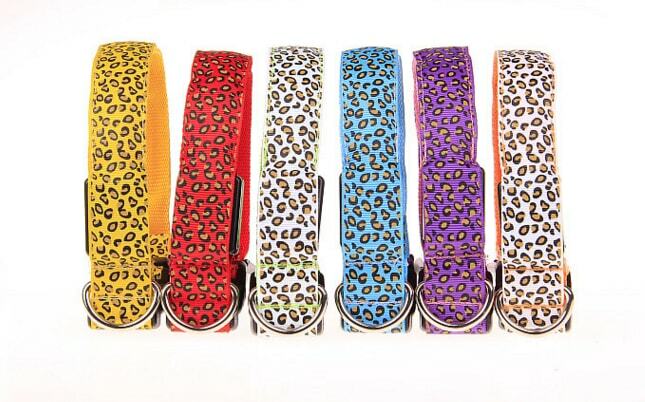 Colours: yellow, orange, red, pink, blue, green and white. 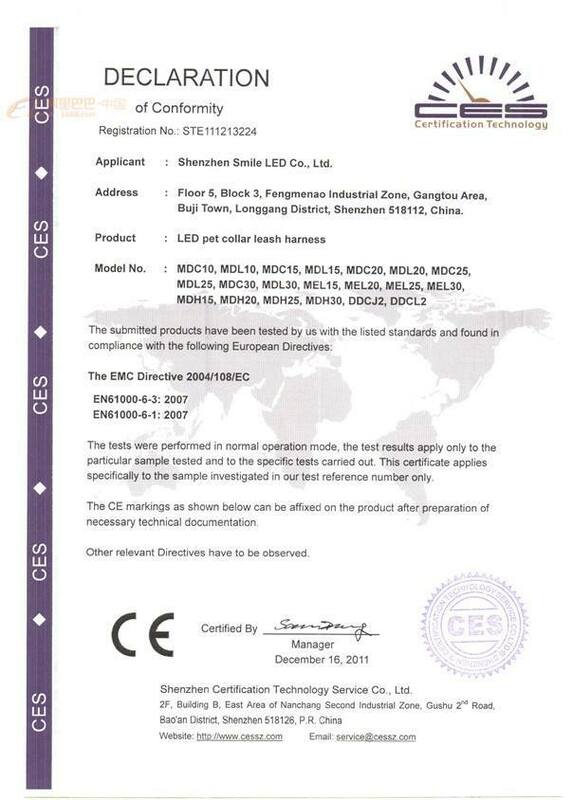 Light pendant is powered by a replaceable CR2032 coin cell battery. 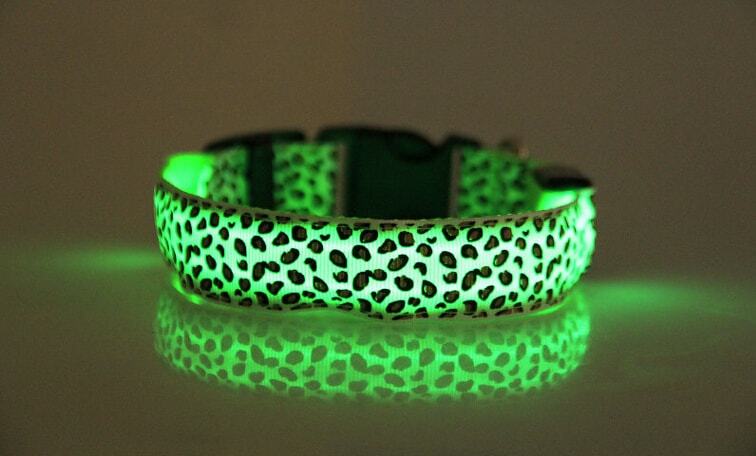 Stamina operation is in the order of about 1-3 months. 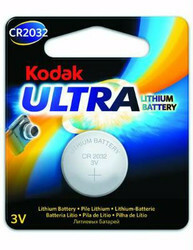 Mainly depends on the quality of batteries used. 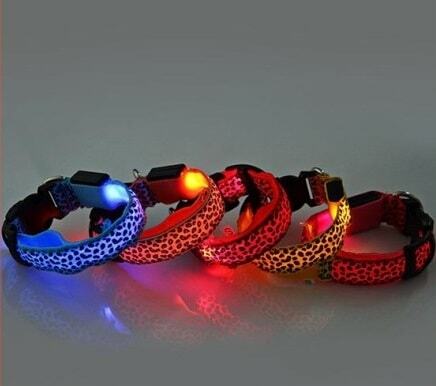 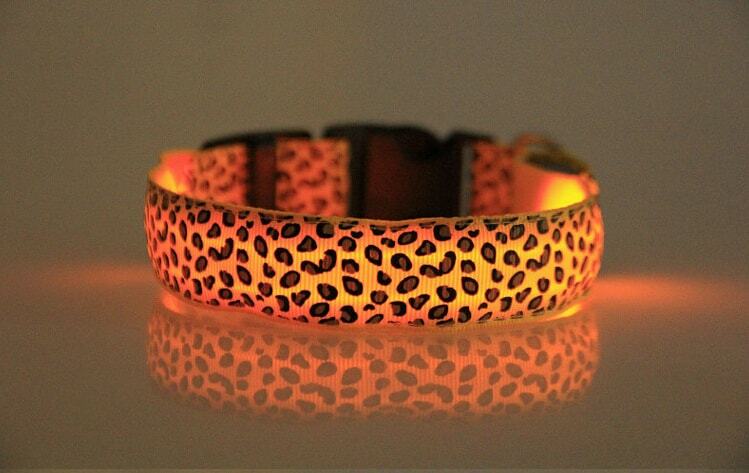 Lighting led collar is suplied in S size which has adjustable lenght of collar from 18 to 28 cm, M which has collar lenght from 32 to 50 cm and L which has collar lenght from 42 to 60 cm.